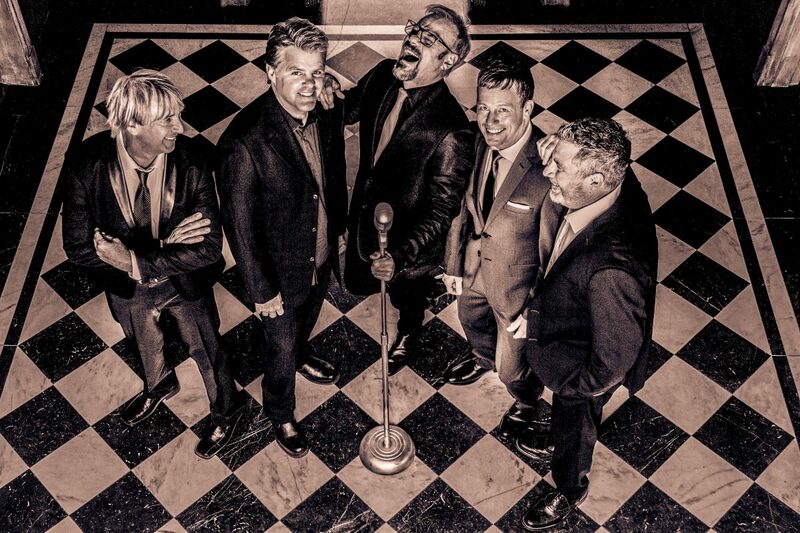 NASHVILLE, Tenn. – The stars are shining bright this holiday season as country music hitmakers Phil Vassar and Lonestar announce “The Not So Silent Night Tour.” To celebrate, Vassar and Lonestar are releasing their Christmas single, “Not So Silent Night,” on Nov. 2 with a music video to follow. In true holiday spirit, the fan-favorite acts will support The Salvation Army with their tour and single release. For dates and tickets, visit PhilVassar.com and LonestarNow.com. The 10-plus city tour kicks off in Biloxi, Miss. on Nov. 30 (full list of dates available below). Throughout each show, audiences will have the chance to hear Christmas standards, non-traditional holiday tunes as well as the artists’ hits. One lucky fan in each city will be chosen to join the men onstage for a special Christmas collaboration (details to follow). Fans can also purchase a VIP experience add-on that includes a meet and greet with Vassar and Lonestar, signed poster and special keepsake. Lonestar, comprised of Richie McDonald, Michael Britt, Keech Rainwater and Dean Sams, released their first Christmas album, This Christmas Time, in 2000. The ACM and CMA award-winning group recorded 11 songs for the Dan Huff produced project, which featured new material such as the title track co-written by Sams and the touching “Reason For The Season” co-written by McDonald. “I’ve known these guys forever, and we’re going to have a blast on the road performing for our fans. It’s even more meaningful that we’re getting into the Christmas spirit and giving back to The Salvation Army – that’s what it’s all about,” shared Vassar. Vassar, who has headlined Christmas tours since 2009, released his first Christmas album, Noel, in 2011. The ten-track collection, co-produced by Vassar and Dane Bryan, showcases four of the ACM award-winning and ASCAP Songwriter of the Year’s original songs, including the humorous “Santa’s Gone Hollywood” and “Big Ol’ Texas Christmas,” a duet with Asleep at the Wheel’s Ray Benson. Last Christmas season, he and Kellie Pickler headlined a sold-out holiday tour. Nov. 30 IP Casino – Biloxi, Miss. Dec. 2 Wildhorse Saloon – Nashville, Tenn.
Dec. 6 Potowatomi – Milwaukee, Wis.
Dec. 14 Memorial Hall – Plymouth, Mass. Dec. 15 Memorial Auditorium – Lowell, Mass. Dec. 16 Santander PAC – Reading, Penn. Dec. 20 Westbury Theater – Westbury, N.Y.
Dec. 22 Weinberg Center – Frederick, Md. For more information on Phil Vassar, visit PhilVassar.com and follow him on Facebook, Instagram and Twitter. Known for merging their country roots with strong melodies and rich vocals, Lonestar–Richie McDonald (lead vocals), Michael Britt (lead guitar & backing vocals), Keech Rainwater (drums) and Dean Sams (keyboards & backing vocals)–has amassed RIAA-certified sales in excess of ten million album units since their national launch in 1995, and achieved ten #1 country hits including “No News,” “Come Crying To Me,” and their crossover smash “Amazed” (which was also #1 on the Billboard Hot 100, the first record since 1983’s “Islands in the Stream” to top both charts). The band’s awards include ACM Single of The Year for “Amazed” (the song also won the Song of the Year award), and CMA Vocal Group of the Year, as well as a 2017 People’s Choice Award nomination for best country group. With over 100 dates worldwide per year, they are celebrating over 25 years together. Lonestar’s latest album, Never Enders, features ten new original songs that bring the band’s trademark sound into the contemporary arena. Check out the music video for the title track, “Never Enders,” here. For more information on Lonestar, visit LonestarNow.com and follow them on Facebook, Instagram and Twitter.